POMONA, Calif. – July 10, 2018 – PCV Murcor, a leading provider of valuation advisory and appraisal management, today announced that Senior Vice President Cindy Nasser has been appointed Chief Operating Officer, of PCV Murcor. Nasser previously ran PCV Murcor operations and will continue to report to Keith Murray, chairman and CEO of PCV Murcor. “Cindy is a seasoned and trusted leader who consistently delivers results. She is uniquely qualified to drive our company’s strategic direction, prioritization and accountability with a keen eye on delivering substantial value for our clients,’ shared Keith Murray, CEO, PCV Murcor. “During her leadership, Cindy has regularly brought new business opportunities to PCV Murcor, while exerting a sustained – positive influence on team development, client success, sales growth, business retention, and community impact,” continued Murray. Prior to joining PCV Murcor in 2007, Cindy held roles at Bank of America and Yahoo. While with Yahoo, Cindy managed contact center technology and was a key leader in the largest system implementation in the organization’s history, known as, “Project Panama.” The implementation replaced all internal and external business systems and changed the Search Marketing business model, which required retraining the entire employee and customer base. As an Operations Manager at Bank of America she acted as an internal Call Center Consultant, managing a global shift realignment process for 1,500 CSRS across 5 contact centers. Cindy has always thrived on solving complex problems, and overcoming the toughest challenges. She learned at a very young age to embrace and overcome adversity. She also learned that every decision she made, or someone else made on her behalf could have significant consequences. After a string of bad decisions made on her behalf, she decided to make all the decisions for herself. She was determined to benefit from or pay the consequences of her own decisions without interference. 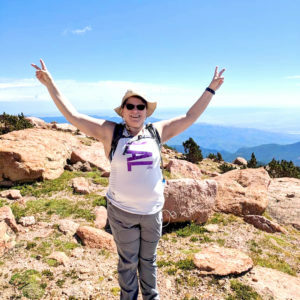 Two years ago, there was no way Cindy could have completed a hike, because she was not fit to do it. She took ownership of her health and fitness, and within a year completely changed her well-being. She lost 85 pounds through changing her habits and exercising regularly. She is the healthiest she has ever been, and continues to find physically challenging opportunities. This was never more evident than when she convinced a judge, at the tender age of 16, to emancipate her from foster care, so she would be free to make her own decisions and support herself. She told the judge, “if anyone is going to control her life, let it be her, and not the system.” At 17, Cindy was working three jobs to make ends meet and convinced an apartment manager to rent her a place. She was doing really well, until she decided to be a teenager, which came with a bit of irresponsibility. Cindy often jokes that she reached her midlife crisis at the age of 19. She saw her friends having a good time enjoying being teenagers, and felt she should too. She quickly learned there were different, much tougher challenges ahead for her. A few years on her own Cindy found herself homeless, with nowhere to go. She often found herself sleeping in the front seat of her car or relied on the graciousness of a few people who allowed her to couch surf. She quickly got it together, and after a few months was able to get back on her feet. That whole situation taught her to eliminate distractions and detractors from her life. To stay focused on her goals, and make the right decisions to achieve her dreams. Some of the most important lessons she gained from the experience was whom to surround herself with, and who to seek advice. While working at Bank of America, her manager implored her to go to college. At first, Cindy was adamant there was no way she could afford it from a time and resource perspective. However, as Cindy does, she took the time to think about it, and about how to make it possible. 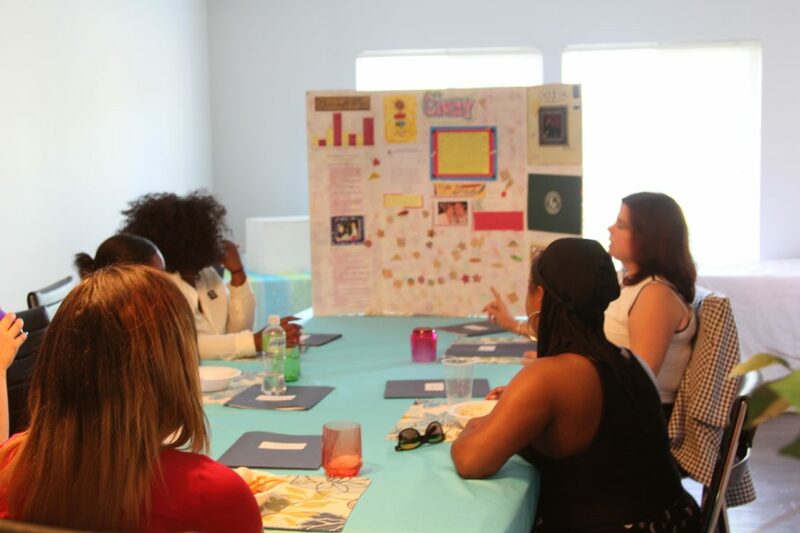 She addressed all the obstacles, found solutions for all of them, and put herself through college, earning her Bachelor’s degree in Business Management. Provided are a few of Cindy’s recent accomplishments while leading PCV Murcor. A lifelong Laker fan, in December of 2017, Cindy was recognized as a Woman of Business, at center court by Comerica Bank and the Los Angeles Lakers. Comerica Bank’s Best of LA Women’s Business Awards Program recognizes women in leadership in Southern California, in tribute to their contributions. 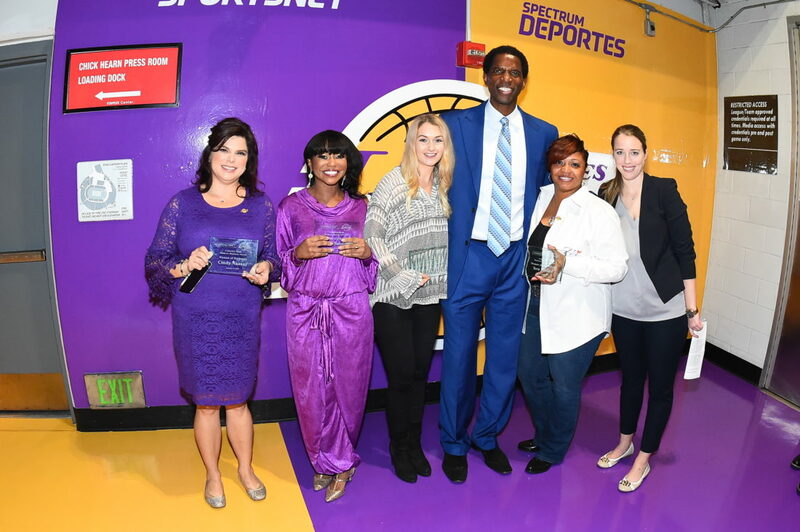 PCV Murcor’s Cindy Nasser, was honored by being presented with Comerica Bank’s December 2017 Women In Business Award at the Staples Center, during the Los Angeles Lakers Vs. Indiana Pacers Basketball game. The Rutgers CX Program is a unique professional education experience where students collaborate in small teams to solve real world problems. Recently invited to become an Advisory Board member, Cindy participates in the Rutgers CX Program as a mentor sharing her expertise and experience with students. Invited to join in 2017, Cindy, along with her peers, offer insight and advice to fellow real estate leaders. Members are selected for the Council based on their depth and diversity of experience, then invited to share their insights on Forbes.com. In 2016 HousingWire recognized Cindy as an ‘Ultimate Insider.’ The award recognizes the many unsung heroes who are the cornerstone of every great company. Recipients of this recognition are people who get things done, who are known throughout the company as the ‘go-to’ person in their company. PCV Murcor, founded in 1981 by Keith Murray CEO, is a leading provider of valuation advisory and appraisal management, for residential and commercial real estate nationwide. For more than 35 years the company has provided nationwide expert valuation and appraisal services for a multitude of clients, including; mortgage brokers, financial institutions, government agencies, asset managers, attorneys and life insurance companies.